This promises to be a real musical treat. 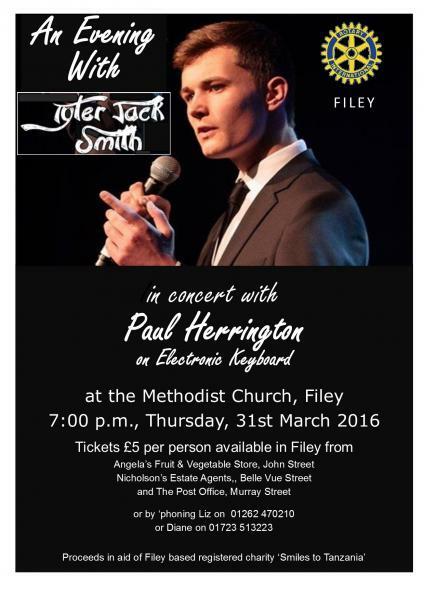 In addition to Filey born singing star, Jack Tyler Smith, we are delighted to have electronic keyboard vituoso Paual Herrington in the programme. Proceeds from the concert will go to support the work of Filey based registered charity, Smiles for Tanzania.